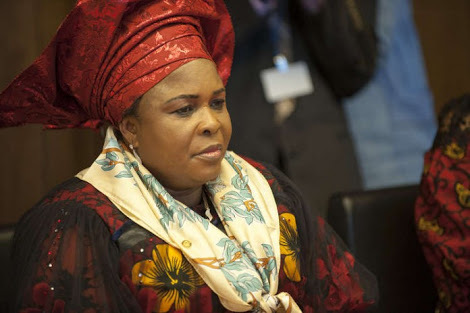 A Federal High Court in Abuja today (Monday) ordered an interim forfeiture of two properties linked to the wife of former President Goodluck Jonathan, Mrs. Patience Jonathan. The properties are at Plot No. 1960, Cadastral Zone A05, Maitama District, and Plot No. 1350, Cadastral Zone A00, both in Abuja. The properties were said to be held in the name of Ariwabai Aruera Reachout Foundation, which Mrs. Jonathan was said to be one of its “trustees”. The order, according to Punch, came after the Economic and Financial Crimes Commission had in an ex parte application filed in September last year asked for an interim forfeiture of the properties, which it claimed were subjects of an ongoing criminal investigation. Ruling on the commission’s ex parte application on Monday, Justice Nnamdi Dimgba dismissed Mrs. Jonathan’s objection to the application for lacking in merit. The court then ordered the interim forfeiture which he however ruled must only last for 45 days. He ruled that within the 45 days, EFCC must conclude its investigations and charge the suspects being investigated in respect of the alleged crimes linked to properties. He however added that the EFCC was at liberty to file an application for the extension of the life span of the order before the expiration of the initial 45 days. He also ordered that if for any reason EFCC’s officials needed to access the properties within the period of interim forfeiture, they must do so with the respondents in attendance. He ordered that the inventory of the fixtures in the properties and a report to that effect must be submitted to the court.